Home › Bootle › Getting into the Christmas Spirit! With only 10 days left until Christmas, all the staff at Head Office Easirent are getting into the Christmas Spirit! This year’s Santa Dash took place last Sunday (6th Dec) and had over 8000 participants. Festivities went off with a bang in Liverpool (6th December), with the annual Santa Dash as 8,500 Santa’s joined together to compete in the World largest Festive run! Now in its 12th year competitors ran from the start line at Mann Island running 5k distance to Dale Street. 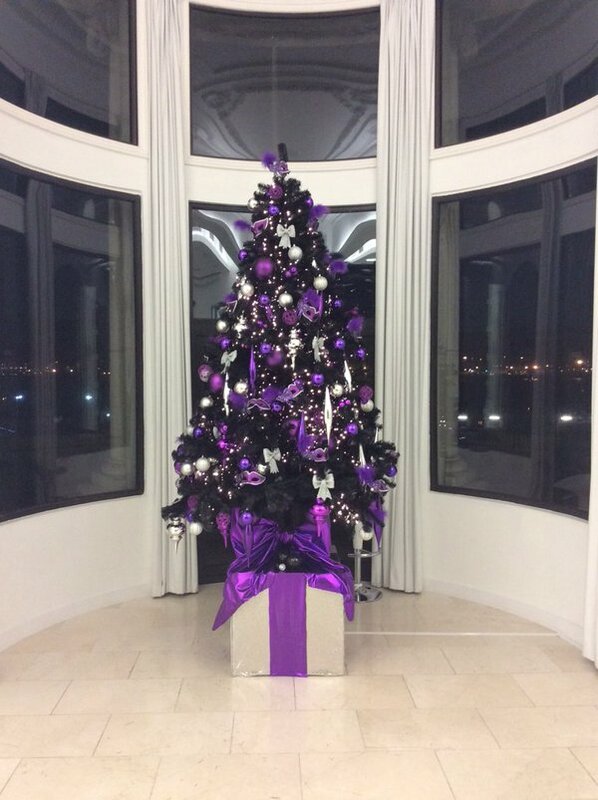 One of the Christmas trees in the Royal Liver Building. Home of Easirent’s Head Office The Liver Building is celebrating The twelve days of Christmas! In the foyer you will find a welcome table with offerings such as chocolate coins, candy canes, stollen, satsumas, roses, Christmas cake, and more to come! After a very successful Christmas Staff Night Out, all the team are feeling very festive and excited for the Christmas season with a Christmas Jumper marathon (first to take theirs off, loses), a hilarious Secret Santa, Christmas office party, decorating the Easirent Christmas tree, Special Christmas Hire Discount and bookings right up to the New Year! Get the latest news and gossip over on our Twitter page here.